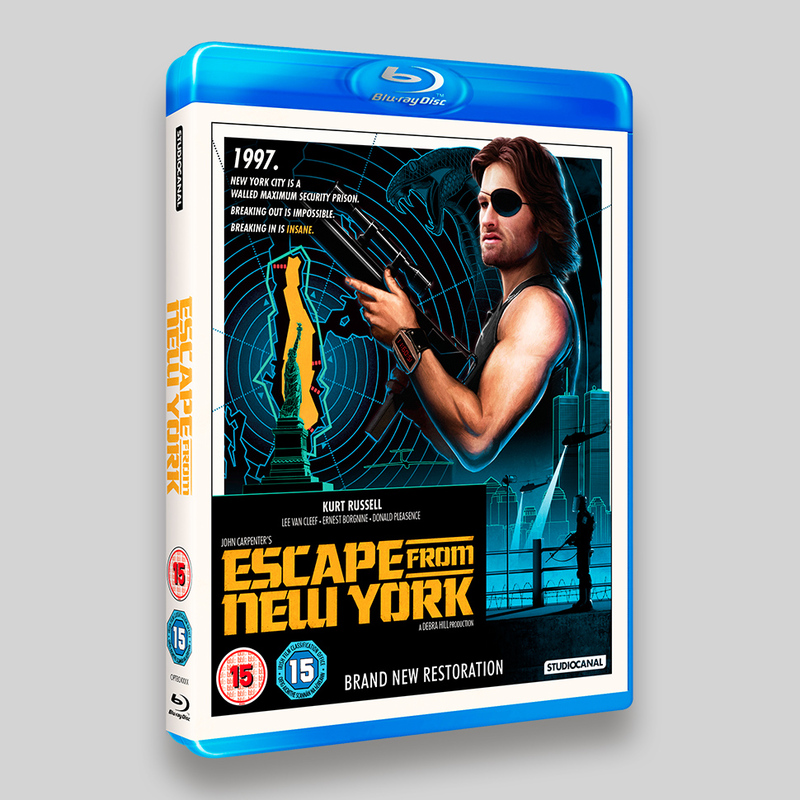 Escape From New York Collector’s Edition UHD, Blu-ray and DVD Packaging fro StudioCanal. 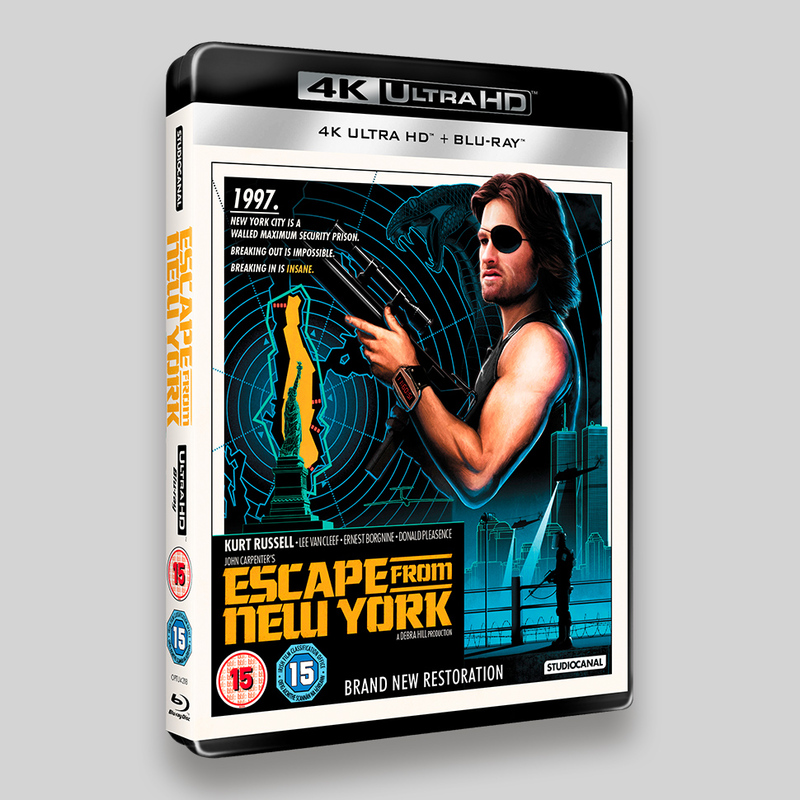 The 4 Disc Collector’s Edition features poster artwork, art cards, a 48 page booklet and soundtrack. 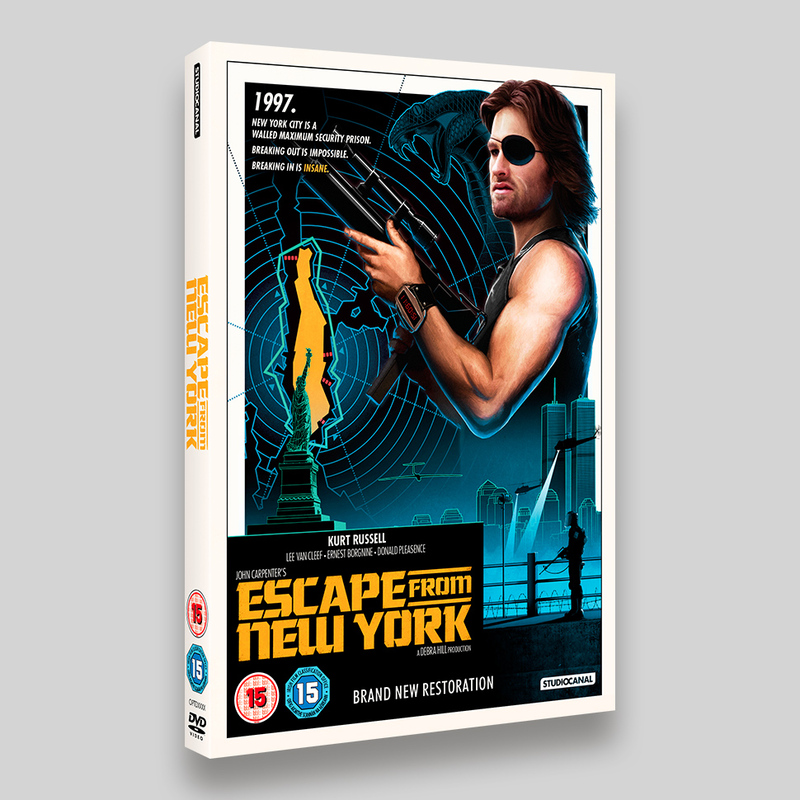 The artwork for this John Carpenter classic features the marvellous artwork of Matt Ferguson and was adapted to feature on the front of the sleeves as well as the booklet and slipcase. The digipack, artcards and booklet make use of high res screen grabs and behind the scenes stills. The booklet features essays, storyboards and magazine articles to fill the 48 pages to the brim. It was a real pleasure to work on this iconic cult classic, the only shame was that there weren’t enough images of the wonderful 80s computer graphics that could be included. 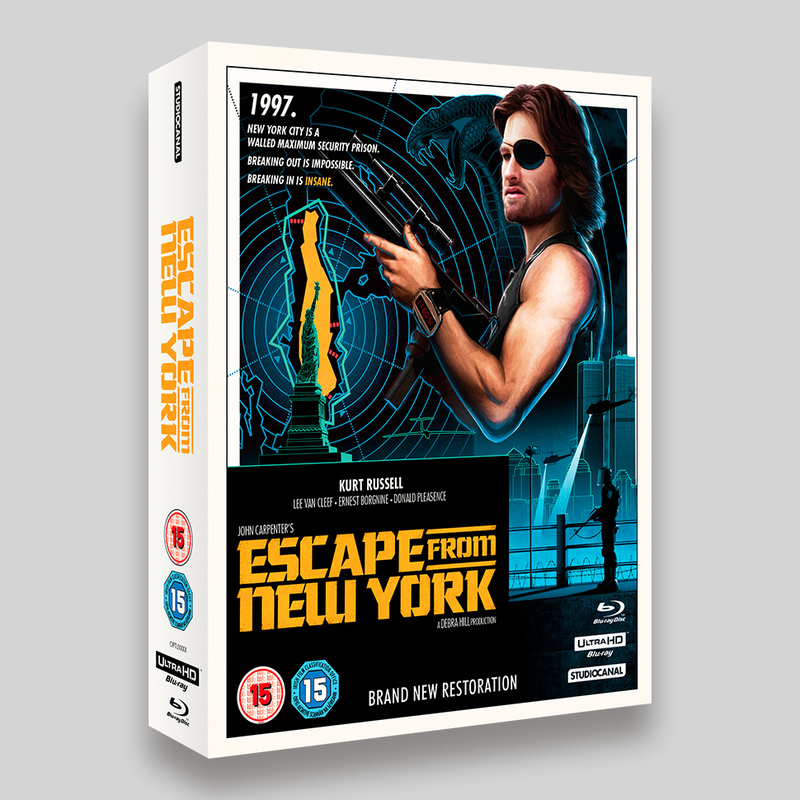 The year is 1997 and in a police state future the island of Manhattan has been turned into a maximum security prison. The rules are simple: once you’re in, you don’t come out. 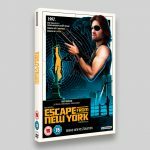 But when the President of the United States (Donald Pleasance) crash lands an escape pod into the centre of the city after fleeing a hijacked plane, a ruthless prison warden (Lee Van Cleef) bribes ex-soldier and criminal Snake Plisskin (Kurt Russell) into entering the hazardous Manhattan and rescuing the distraught president from the twisted world of New York and from the demented clutches of its new ruler The Duke (Isaac Hayes) in John Carpenter’s cyber-punk, action, suspense spectacular.